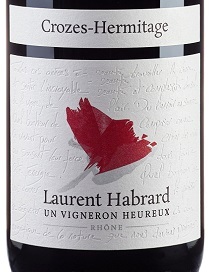 Raised mostly in tank, the medium to full-bodied 2016 Crozes Hermitage blends fruit from the granitic north with the galets roulés of the south. It's floral, redolent of violets and jasmine, then plump and supple in the mouth before fading a bit on the finish. Drink it young.